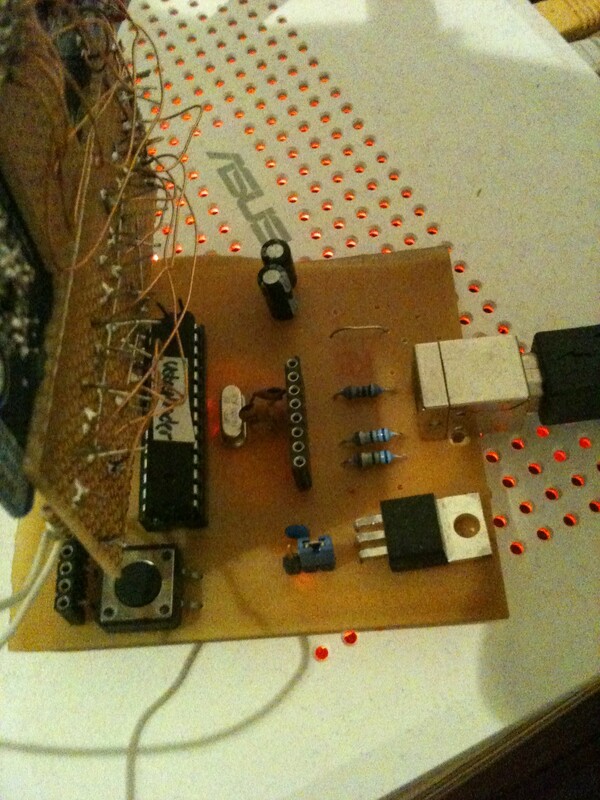 the avrBridge bridges an avr microcontroller’s hardware registers to a host pc, so the host can access them just like they were part of itself or in other words, it adds a set of general purpose I/O pins as well as ADCs and DACs to your PC, Notebook, Server or Router and makes them accessible via an easy to use API. 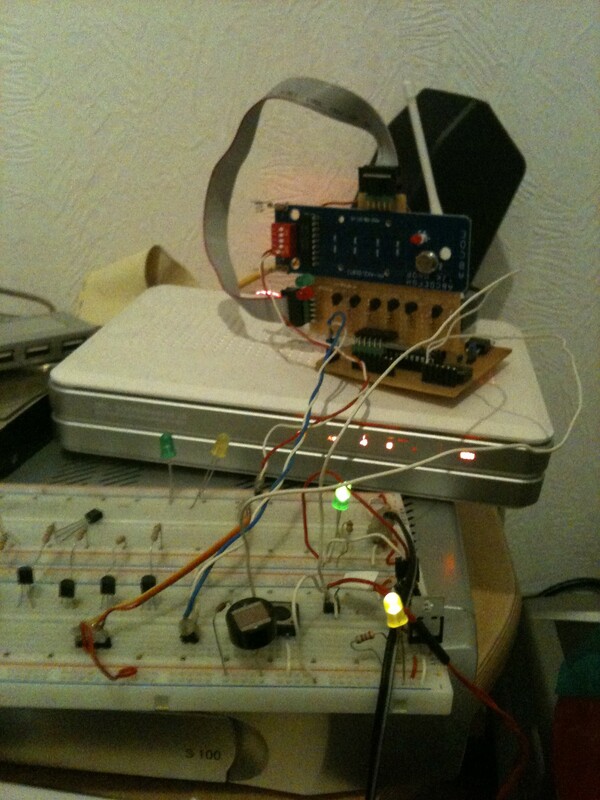 To demonstrate what this actually means, here’s a quick example, that would flash a led at PORTB, PIN0. this code uses the avrBridgeC API and could be written in c as well as in java. 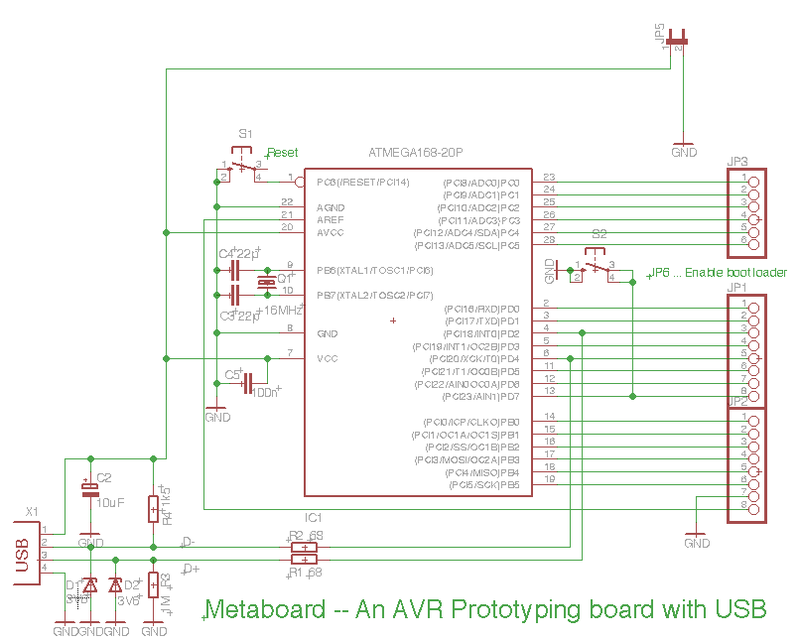 the hardware requirements are minimal, usb is done in software using obde’s V-USB and since that, all you actually need is an atmel atmega8, a usb-port, 4resistors and a resonator, you can find schematics for simple dev-board here , at metalab.at or at obdev.at .Currently there is only one supported mcu, the atmel atmega8. The firmware is based on obdev’s V-USB, which implements USB completely in software. Right now only usb control-messages are transferred, to improve performance bulk messages will be used in a future release. 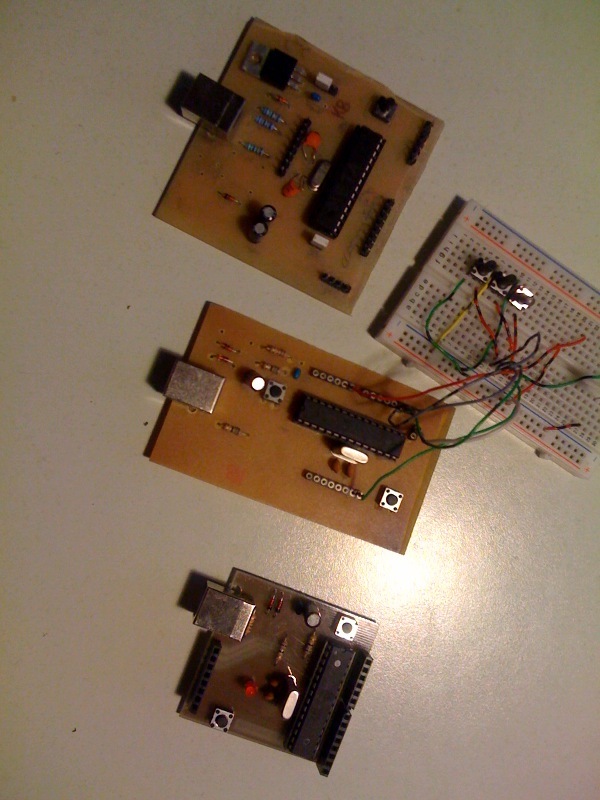 rapid prototyping: because the software runs on the host, no firmware flashing is required anymore. Human Interface Devices: because of the usb connection, and the easy to use host side API, the weirdest hid devices can be implemented in no time! 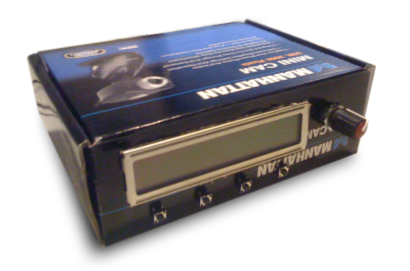 Datalogging: collecting and analyzing live sensor-data is as simple as the led example above. 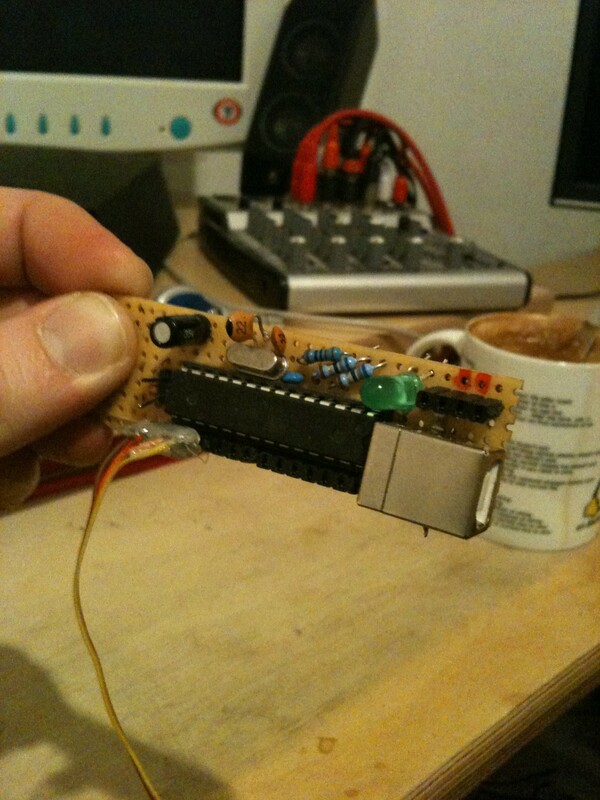 Hardware Hacks:Hacking new features into Toys and Consumer Electronics can be done with minimal programming efforts. 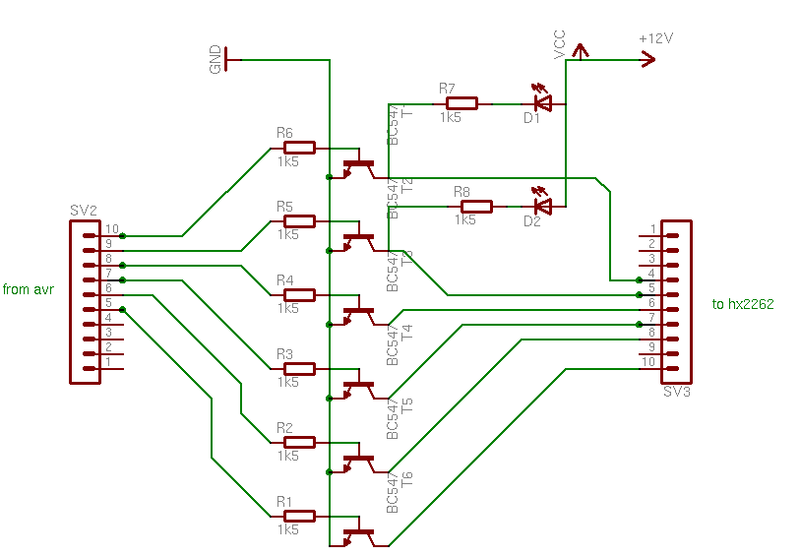 a little tool I built for a radio-station I work for, its basically the dev-board from above with two audio-jacks connected to two adcs.The host software polls the adcs and decides what to do in case there is so signal going out of the station. I’ve simply placed two piezos on the floor beneath my desk so I can use them as footswitches to trigger shortcuts or mouse-events. I’ve managed to connect a cheap hx2262-based remote controled power outlet to an openWRT-based router using the avrBridge. The avrBridge is now part of the openAMI project. All sources and schematics are available via google code, see below. 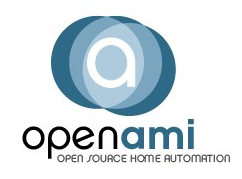 This is a short preview showing the openAMI AJAX-Remote, Light control and sensing is done by using an avrBridge connected to a ASUS wl500 gp V2 wireless router. In addition to the source-code repository, schematics and sources are also available for download here. 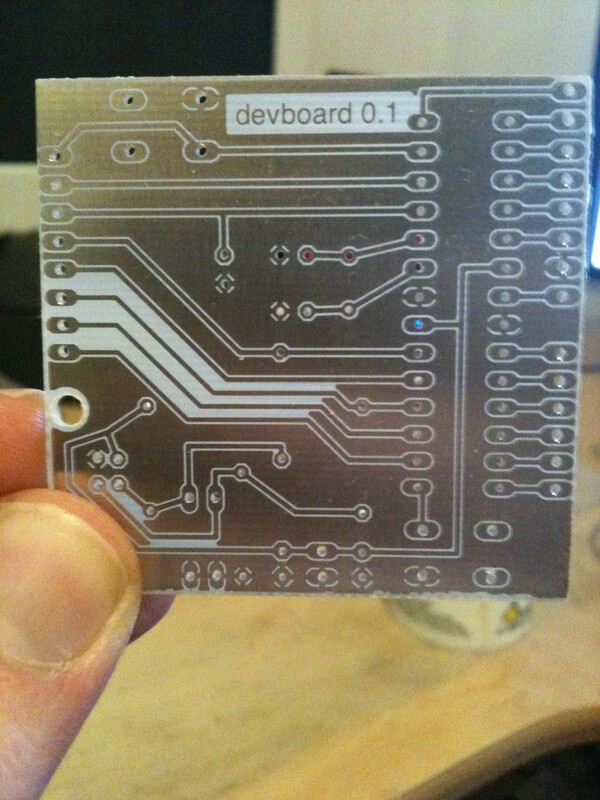 The Documentation isn’t nearly complete, but build instructions and some samples can already be found here. i’ve never used the m48, but i’ve just looked up the datasheet, the registers that refer to the timer configurations are different from the m8 i’m using. I’d suggest you just adept them to your mcu. For a quick and dirty fix, you could comment out the timer related code segments, but this would also break DAC on the pwn pins. Let me know if it worked, would be great to see some more devices support the avrBridge.